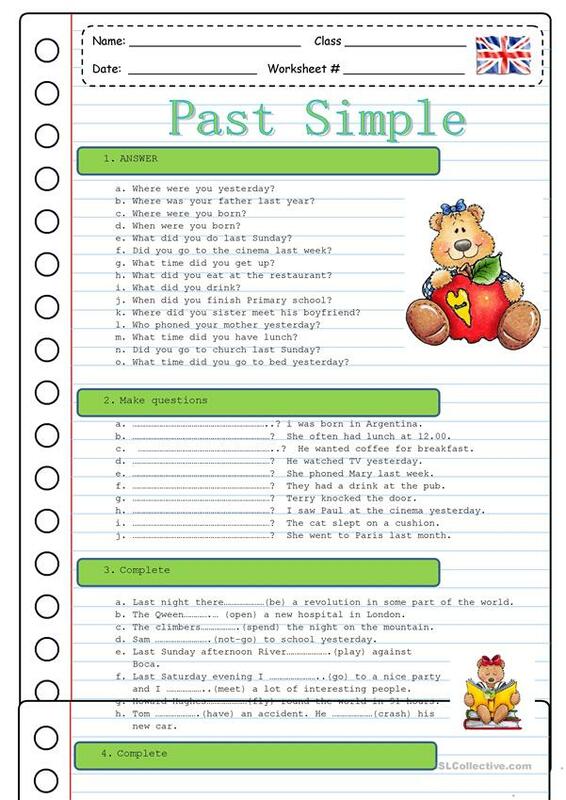 MAKE & ANSWER QUESTIONS-COMPLETE SENTENCES-JOIN SENTENCES- TURN INTO INT & NEG. The above printable, downloadable handout is best suited for elementary school students at Elementary (A1) level. It is aimed at consolidating Past simple tense in English, and is useful for enhancing your students' Writing skills.